Why should you use Atlantis for all your remedial treatment needs? When you get in contact with us, you know you’re dealing with the best. We are proud to soon to be entering our 10th year as a family-run business supporting Cheshire based clients. Our expert, extensive, experience helps us to offer you the honest advice that you deserve. In this episode of The A-Z of Damp from Atlantis Damp & Timber Proofing Specialists, A is for…… Anobium punctatum – The Common Furniture Beetle (woodworm). Atlantis Damp Proofing & Timber Specialists Ltd recently sent our timber specialist surveyor to survey a local property near Cuddington in Cheshire. A grand old coach house with the potential to be a dream home, with parts of the property built as early as 1810. All of the rooms were stripped back to the bare brick to allow for a high quality finish and it was clear to see that the owners were not cutting any corners whilst developing their dream home. Once the bare brick and roof timbers were exposed the owners asked Atlantis Damp Proofing & Timber Specialists Ltd to come and survey the timbers and offer their expert opinion. Our surveyor was able to diagnose the infection by small round exit holes of 1 to 1.5 mm diameter present on some of the roof timbers. 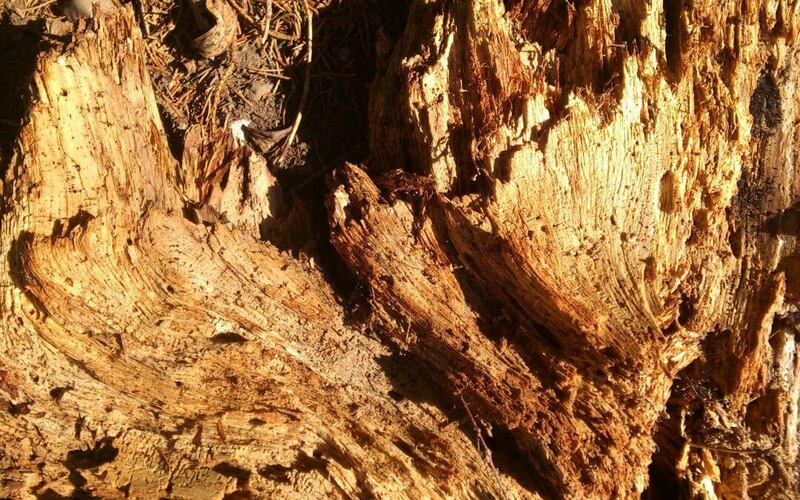 He used his expert knowledge to identify if the Common Furniture Beetle (CFB ) was active. CFB has a breeding season just like many creatures you are familiar with. This is the ‘flight season’ when mature larvae pupate below the surface of your timbers and emerge as beetles to mate and lay eggs. Summer is the season of love, but the period is a bit flexible in houses. This is due to heating and such, so you may get fresh holes anytime between about March, through to September. New holes you see are usually part filled with ‘frass’. Frass is the excrement of woodworm. After looking for these signs, our surveyor then assessed the risk of leaving the infestation as opposed to treating it. Our examination of the exit holes and the fine bore dust around the holes suggested an active infestation. In addition, we saw that two of the smaller cross beams in the bathroom area were heavily infested and significantly weakened. Finally, we prepared a detail report containing our diagnosis and recommendations to the Client. Then they confirmed that they were happy to proceed with the work. What should I look out for in my home? 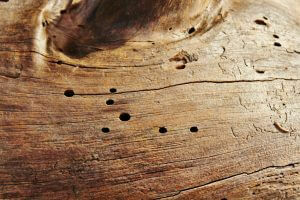 Small round exit holes– tiny holes may be noticeable in timber suggesting an active woodworm infestation is present. These flight holes are created when the larvae pupate and hatch into adult beetles, boring their way to the surface of the timber to mate and reproduce. Fine, powdery dust– woodworm also often leave a trail of bore-dust, known as frass. This will be noticeable near exit holes as the beetles emerge from the wood. The presence of frass would suggest that the woodworm infestation is active and treatment is necessary. Movement in floorboards / damaged timbers – if you have noticed furniture, flooring or structural timber is noticeably weaker it could be a sign of woodworm. Beetle activity outside of timber– If you notice beetles emerging from timbers, or dead beetles close to the proximity of holes then you more than likely have a woodworm infestation. How can I tell if an infestation is active or historical? It isn’t always easy. You could fill any holes with a shoe polish, wait for the emergence season in spring and then reassess the holes to see if the polish s till there. If it’s gone, your infestation is active. Alternatively, you could tape some paper to the beam or timber, again await for the springtime emergence season and then look to see if the frass mentioned above has collected in the paper. Remember, don’t panic if you think you see signs of wood boring insects in your home. At Atlantis Damp Proofing & Timber Specialists Ltd we are committed to using our expertise to ensure that we only recommend the works that need to be done. That could be as little as treating a small area of your under stairs cupboard or replacing a floorboard or two in your lounge. The key thing is… don’t ignore it! 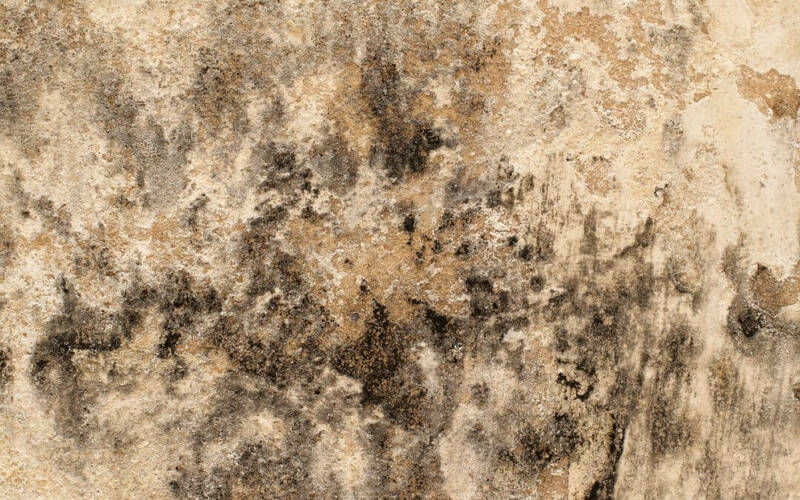 If you have discovered signs of wood boring creatures in your home, don’t delay! Contact Us at Atlantis Damp Proofing & Timber Specialists. Our expert opinion to ensure accurate diagnosis and solutions to your property problem. 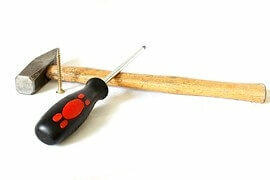 In this episode of The A-Z of Damp from Atlantis Damp & Timber Proofing Specialists, B is for…..Builders Beware. In this installment of The A-Z of Damp from Atlantis Damp & Timber Proofing Specialists, C is for…… Condensation. In this episode of The A-Z of Damp from Atlantis Damp & Timber Proofing Specialists, D is for…… Dry Rot. Dry-rot fungus is often thought of as a building cancer, rampaging through buildings and rapidly destroying any timber in its path! Dry rot can lurk behind the scenes in areas of a property. 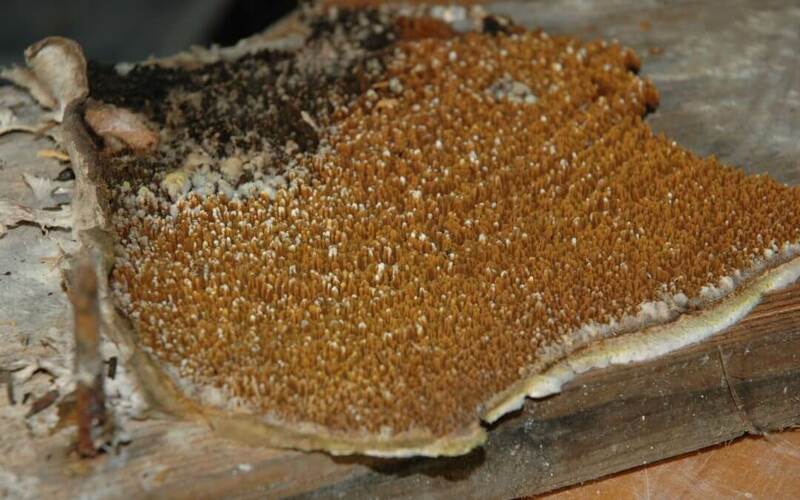 Unseen, undetected and left untreated dry rot can cause vast amounts of damage to timbers.